Emulate3D is the leading provider of virtual commissioning software for the automation industry, with a range of products which save time and money at system commissioning, and which reduce the risk of automation investments by providing statistical backing to equipment and resource dimensioning choices. Emulate3D Controls Testing is widely used by OEMs, material handling system integrators, and end users to debug control systems offline and in a safe environment. Emulate3D technology brings together the two truths of automation systems, the 3D CAD model and the control logic in order to create a Dynamic Digital Twin for controls testing and debugging. By taking controls testing off the project's critical path the system can be debugged more cost-effectively and safely, resulting in on-time and under budget solution delivery. Your company will be exhibiting at PROMAT, what is it that makes this an important event for your company? PROMAT is our biggest trade show, so it's where we meet many of our existing users, but also many new prospects. It's one of the most important ways in which we can grow our business and it's been very successful for us throughout our many visits here. What makes your booth a must visit for PROMAT Attendees? The material handling and automation industries are understandably interested in what Dynamic Digital Twins are, and how they can get value from them. We at Emulate3D have a clear idea of how these ideas and technology come together, and can help users get value from these. We'll be demonstrating our controls testing products as well as our virtual reality based Operator Training System, and encouraging attendees to try it out for themselves. Emulate3D has recently become a part of Rockwell Automation's Connected Enterprise initiative, and we look forward to discussing this step with our users and explaining the opportunities that this offers our market. PROMAT has many educational sessions, forums & Demo’s, is your company involved in any of them this year? 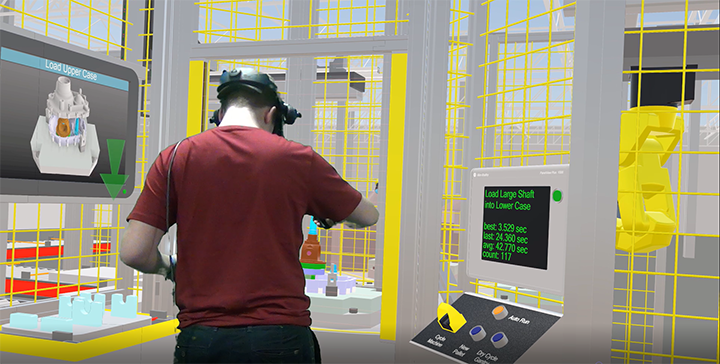 Emulate3D has a proud tradition of encouraging users to experience Virtual Reality and Augmented Reality in our booth in order to understand how the application of these technologies, twinned with Emulate3D technology, might benefit their companies. This year we'll be inviting attendees to put together a gearbox as fast as they can within an OTS environment. I'll be looking out for new automation technologies if I get a moment to walk the show floor. 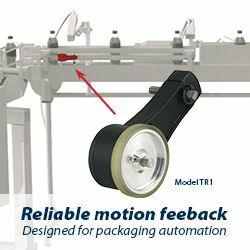 If it's as innovative as it has been in previous years, I anticipate several new delivery or storage solutions as well as a handful of new logistics products on show, many of which we or our users will be including in their models in the years ahead. Emulate3D is truly at the heart of the Connected Enterprise, and the technology is being widely used to produce better outcomes in terms of reliability, flexibility, performance, safety, and cost across all aspects of the automation industry. Wherever there is a decision to be taken in terms of resource quantity, equipment choice, or system operation, Emulate3D technology is used to reinforce that decision with reproducible statistics, and to reduce the risks associated with all automation investments. We at Emulate3D are seeing considerable growth in the adoption of digital twins as a cost-effective means of designing, testing, and implementing automation systems in a wide range of industries. Development will continue to make the solutions easier to adopt and maintain, and we'll see many equipment providers able to sell digital assets as a part of their offering. To setup an appointment for a booth demo or visit please contact…. Tyler Phillips on 801-923-3316.